Session 1 - Knit a beginner lace project (sampler scarf). Learn the basics – YOs, reading charts, etc. Make a simple Feather and Fan Scarf. 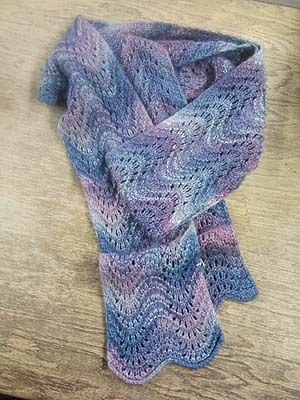 Session 2 - Learn to make a beautiful lace shawl using more complicated decreases.